The piece “Govt. to recruit Registrar of Mineral Tenements” featured below was initially published in Malawi’s Mining Review Issue Number 25, May 2015. The full edition is available for download here. The Malawi Government will recruit the Registrar of Mineral Tenements who will be responsible for maintaining a chronological record of all applications received for mineral tenements. This is contained in the Mines and Minerals Bill, which is expected to be tabled in Parliament this year. Acting Director for Department of Mines, Mr. Peter Chilumanga, explained in his presentation at a consultative workshop on the Mines and Minerals Bill in Lilongwe that with the new law in place, the Department will migrate from using manual to cadastre system of keeping records. said Chilumanga, reading an extract of the Bill. According to the Bill, the functions of the Registrar of Mineral Tenements will include to coordinate mineral tenement application processing, receive applications and coordinate the processing of applications for export permits and Reserved Minerals Licences. The Registrar will also maintain the register as required by the Act and receive and maintain mineral tenement related records, reports and submissions. Chilumanga told the participants at the workshop that the Registrar will accept payment of fees and annual ground rent required by the Act and establish and maintain a database which shall be accessible by the public. The Registrar will report to the Commissioner for Mines and Minerals. Other than the existing Mines and Minerals Act of 1981 which seemingly gave more powers to the Minister, the Bill seems to give more powers to the Mineral Resource Committee in the administration of the mineral licensing regime. The Mineral Resources Committee shall consist of the Principal Secretaries (PSs) or representatives of PSs for Ministries responsible for mining, economic planning and development, local government, environmental affairs and lands. The Committee will also have slots for Director for Mines and Geological Surveys. states the proposed piece of legislation. where the Mineral Resources Committee approves an application for an exploration licence, retention licence, medium scale mining licence or large scale mining licence, the Minister, without delay, shall without exception grant such licence to the applicant. 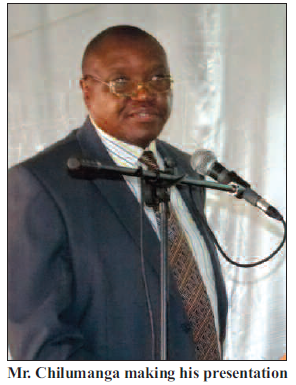 Where the Mineral Resources Committee determines that a mineral tenement tendering process should be applied to any Geological Survey Reserve Area, the Minister, without delay, shall initiate and carry-through the tendering process for such area. The Bill has also some aspects that promote community engagement by mining companies, corporate social responsibility, and local participation in mining ventures. It also recognizes artisanal and small scale miners and women miners as important participants in the development of the minerals sector.